What's included in wedding photography packages? Wedding photography packages are an easy way for photographers to cost their services, and choosing a standard package is often an easy option for couples. However, wedding photography packages can usually be customised to suit your needs. Here are some of the things that may be included in photography packages. Will the photographer utilise a reportage style to capture spontaneous moments during the photo-shoot or will they take mainly formal posed shots? Will there be a variety of media like black and white or sepia as well as coloured photos? 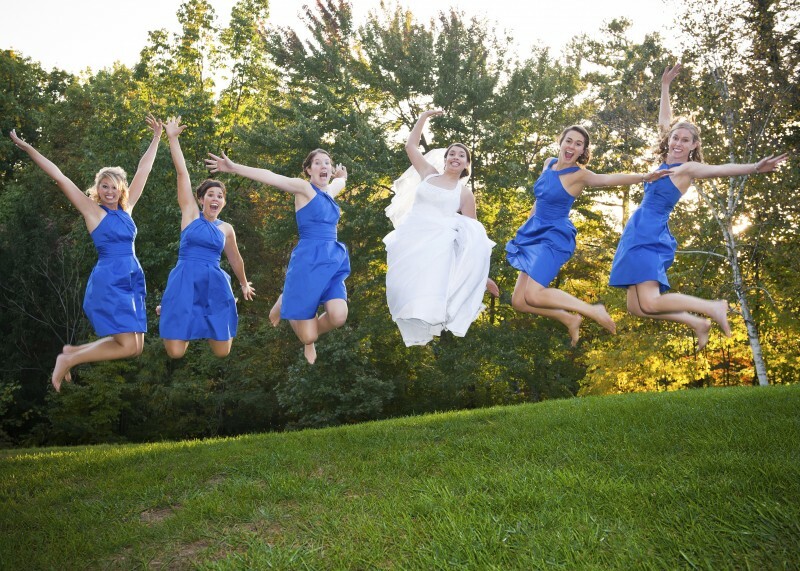 When you select a wedding photography package, you should know the style of pictures that are included. Quite a few packages even list specific pictures that are included, such as a certain number of group pictures, a shot of the exchange of rings, a picture of the cake cutting, and so on. Your wedding package should come with a specific number of hours that your photographer will stay at your wedding venue. It should specify whether the duration will be spent in the run up to the ceremony, at the ceremony itself, or at the reception. The package should also specify the number of people who will be attending the wedding; a few packages include two photographers or one photographer and an assistant. If you are organising an outdoor reception, or an evening event, your photographer might need to provide special lighting or shades, and this should be referred to in the details of your photographer package. Your wedding package should come with the details of the kind of cameras that will be used on the day. Even if you don’t know a lot about photography yourself, check with a friend who does if these are up to date models, or conduct a little research online. Check whether they will be coming with back up equipment with them if one of the cameras fails during the event. The photography package details should detail how the pictures will be edited and whether they will be digitally altered or enhanced to add more intense colours or a better image. Your package should also suggest roughly how many images will be edited and how long this will take. Often understanding what isn’t included can tell you more than knowing what is included, so when you select your wedding photography package, ask for a list of possible extra costs such as travel to the venue. See how much your photographer will charge for additional prints or albums and for a second photographer if this isn’t provide with your package. Would you like a magazine style product more, and would you want parent or guest books to hand out as gifts? Do you wish to have printed photos displayed in a mounted album, or a coffee table style book? Pay attention to the details; what kind of covers and edges will your albums come with? There’s a wide variety of wedding photography products now on offer, so ensure the package you pick has what you want. Your photographer might offer different styles such as canvas prints or prints enhanced to look like paintings. Some packages include a specific number of professional prints which can be mounted and framed if you prefer. A number of photography packages now include all your photos in digital format, so you can have extra prints done whenever and wherever you wish. Finally quite a few packages include a DVD with a slideshow of the best shots from your big day, set to a suitable soundtrack.